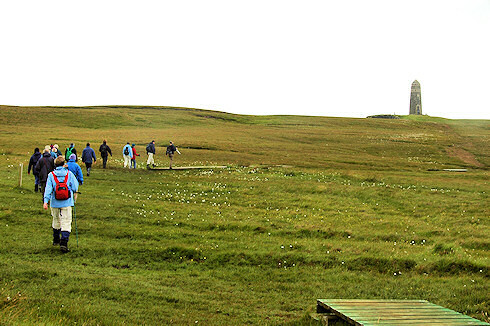 It actually looks fairly grey (which it was) on this picture from a walk with the RSPB on The Oa in June 2007. Mike took us to watch the Peregrine Falcon chicks which had hatched a few weeks before. It also started to clear up towards the end of the walk and by the afternoon we had beautiful sunny weather. As usual I'll post the larger version (larger as in more than twice as big) on the Islay Pictures photoblog tomorrow morning. If you are on Islay enjoy the last days of the festival, otherwise just have a great weekend!